For some reason I've always thought that making soap seemed too hard. For a start the number of ingredients required was confusing and all the safety warnings about using the alkali put me off. The worst part for me was that most of the ingredients had to be purchased, and some even imported (palm oil and coconut oil), which never seemed very self-sufficient. I can definitely see the benefits of using homemade soap instead of mass produced soap (that often contains synthetic fragrance, colour, preservatives, and has had the glycerine removed), but it seemed to me that if I was going to buy all the ingredients I may as well just buy the soap and save myself all the hassle. For the past several years I have bought homemade soap from various market stalls and websites, and that has suited me just fine. Then we had the steer butchered at home and I saw just how much excess fat we had to dispose, it was nearly a wheel-barrow full, and that made me think about how we could use that fat instead of wasting it. If I can make soap using the fat from steers that we kill for meat anyway, the only other ingredient I need is the alkali and maybe some essential oil for fragrance. This is a simple and cheap way to be nearly self-sufficient for soap as well as using up a by-product that we would otherwise have to dispose. It took me a little while to work out how to render the tallow, which I discussed earlier this week. Then I found out that a friend of mine makes soap and has done for a number of years. I talked to her about using tallow and as she was always looking for cheap ingredients, she got some from the butcher to try it (at $2 for 3 kg, it is very cheap!). She then agreed to show me how to make it. I'm not going to write about the entire process, many people with more experience have already written detailed posts about soap making in general, for example. With my friend, we used half tallow, and a quarter each of coconut oil and olive oil. 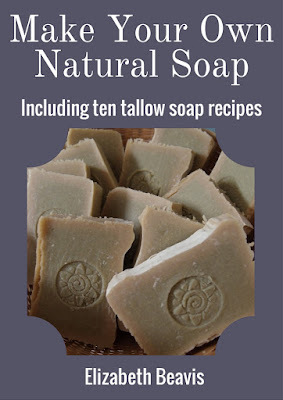 Now that I know how its done, I would like to experiment with a 100% tallow soap. I have read differing opinions about tallow soap. Some say it will form a long lasting soap that cleans well, but others say that it may not lather as much without oil. However, the vegetable oil soaps tend to dissolve quickly in water and don't last as well. I would like to make the tallow soap and see if we are happy with the lather. I also made a couple of bars with no essential oil, just to see how that would smell. A post about making tallow soap here. A post about making tallow soap in the old days using the hot cooking method here. Frugal Kiwi making sheep tallow soap here. The oils used - tallow, olive oil, coconut oil and lavender essential oil. 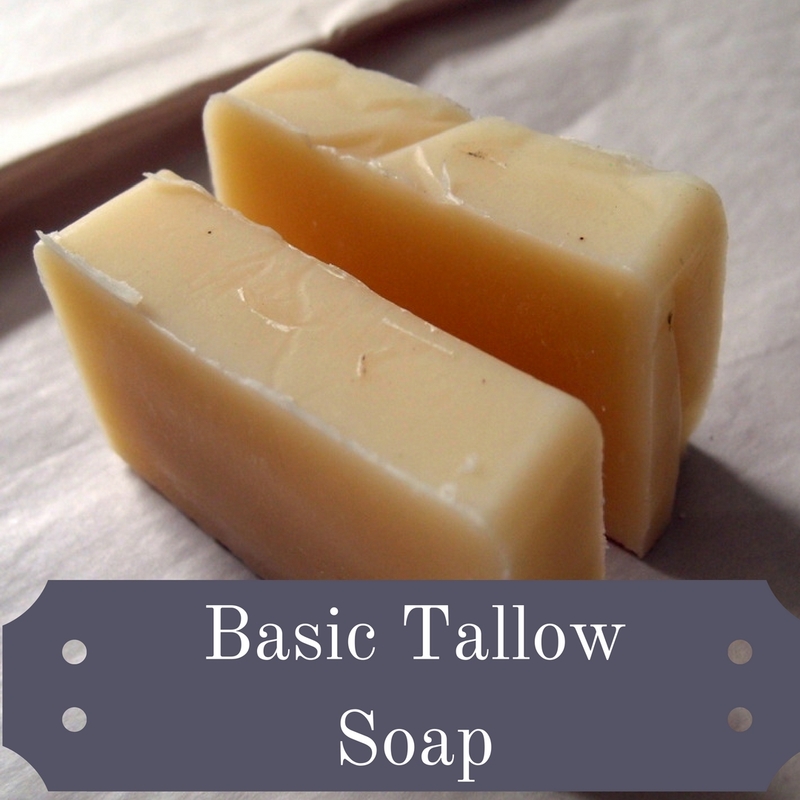 Have you made soap from tallow or oils? What do you think about the frugality and/or self-sufficiency of soap making? 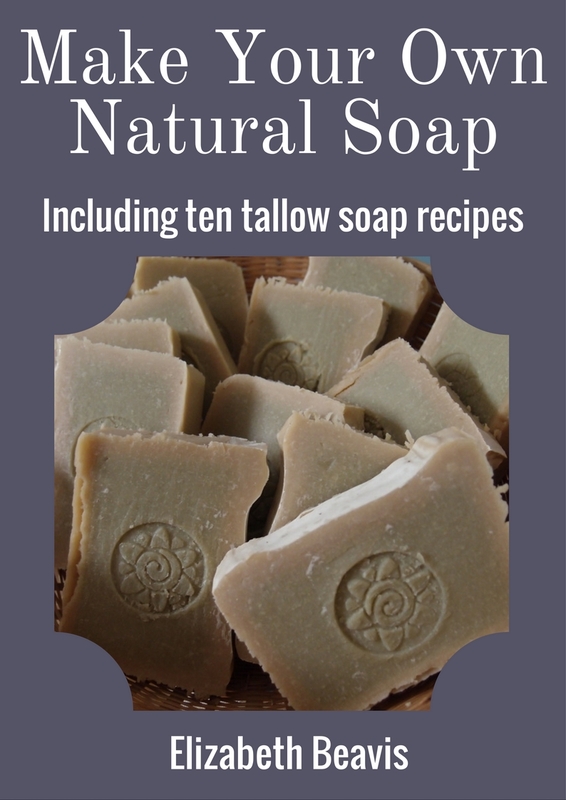 I'll let you know soon how the 100% tallow soap goes and I'll have a go at processing the soapwart too. Oh I have long wanted to make soap - wish I had a friend to lead me through.. How wonderful if you can work it out to make it from your own tallow. One question though: did you 'super-fat' the recipe? That means add a little extra oil so that the soap isn't too harsh on your skin. If so, you'll need to use an antioxidant if you're making more than a few bars at a time. Vitamin E or Grapefruit Seed extract work well and will ensure that the fats in your soap don't go rancid. I've heard this is especially important for tallow soaps but I use Grapefruit seed extract in all my vegetable based soaps since they'll 'go off' too. Rancid soap will still clean but it does have a bit of an unpleasant odor. Hi Tanya, I believe that the recipe was for superfat (my friend worked out all the amounts). I'm going to try the tallow without the antioxidant at first and if I have a problem with rancid soap, I'll include it. I'm not sure yet how long the soap will have to keep, as we do use it up fairly quickly! When I make the next batch I'll write more about the recipe and working it all out (which of course you know all about, but for everyone else). Hi Liz, I don't add fancy oils although I believe they do make a more luxurious soap. I just use fats. No they don't lather but so what? You quickly get used to it and the soap still cleans well. I recently ran out of soap and used a cheap commercial soap I received as a gift. It might have lathered well but it was horrible. Good on you. You'll never go back now! Amazing! I'd love to try this (not very manly but its another step towards self sufficiency). Your soaps look so good. I've read that I can also use tallow as a lube for some of my tools like planes etc. Tanya from Lovely Greens is on to something. Superfatting is essential - also, it makes the soap less harsh on your skin. That being said - that batch looks amazing. I love the molds! Especially the round ones. I have never used tallow but have always wanted to try. If you want to go full tallow, you may need to adjust the temperature, and maybe add some castor oil for bubbles, but it could probably be done! Soap making is addicting...watch out...! I've been making tallow soap for a while now usually from sheep fat but today I have rendering some pig fat. I believe we should be making full use of the animal but once trying animal tallow soap we now do it for the beauty of the product itself. My husband was very fussy and would use nothing but Pears soap but now he would never go back. I make different types of pretty soap for others but for us it's pure tallow no added fragrances or oils and we love it. I have to smile when people get squeamish about tallow soap because that is what is in the commercial bars they buy at the shops. I have people with sensitive skin who are repeat customers for my pure tallow additive free soap. I believe a lot of people's sensitivities and allergies come from essential oils themselves, still they prove to be big sellers. I also smile to think that the cheapest simplest product is actually the best. Animal fat produces a wonderfully moisturising product. To add to other comments, I use recipes that superfat 5-7% and do not use any preservative measures. The soap is stored in a cool cupboard and we have had it for months without any rancidity problems. I'm sure you will never go back to buying soap again. Good for you Tanya, I feel the same way. Tanya, could you explain a little bit about allergies coming from essential oils? I'd love to know! This was a really interesting post and some great interesting comments too. I love the way you embrace farm life Liz, sometimes when you have been a farmer all your life, you forget to try new things . I always make my soap with rice bran oil,olive oil, coconut oil and goats milk. We have beef cattle and I have never tried making soap with the fat...maybe I will give it a go! I hope you do try it Kim! I have made soap just once but with just the 2 of us it lasts for ages. I used olive oil and copha and was pretty happy with how they turned out. The soap looks amazing. Have you tried it yet? How does it feel on your skin? we had to wait 6 weeks for it to cure, but then we used it and it was not noticeably different to the soap we were using before (handmade). It will be more interesting to try the 100% tallow variety. 4 hours later and I'm still researching soap. This was a dangerous post Liz! I hope you make some after all that research! I love the idea of soap making but have not done it myself... yet. I'm anxious to hear how you like your new soaps. Awesome Liz. Like others I'm researching and think I have found a recipe I like using the sheeps tallow that I rendered. Tomorrow might be the day for playing - if I'm lucky. yay, did you make it Calidore? How did it turn out? Hello, I've just come across your interesting post. I've always wanted to try making soap but have also been put off by the safety warnings and the lack of space I believe is needed to make it (my kitchen is already crowded). But your post is inspiring. I think storage space is more of a problem, as the actually making doesn't take up much more space, although it is best to be tidy, don't want to spill caustic or lard on things! Inspiring! That's unreal you can use your fat for soap making. Looking forward to hearing what is feels like. As someone who rarely uses soap - who, in fact, wanders around in a fug of his own stench most days - I find this discussion all very novel. I've never actually seen anyone make soap from scratch. It's quite a fascinating process. Thanks for sharing. I thought about making soap but had the same response you initially did, Liz. Who knows, I might just give it a go one day. PS - emu fat work the same? I was at the house when we plucked etc and I wondered apart from emu oil, if it could be used similarly to beef tallow? yes, you can use emu fat, but you'd have to look up the recipe to get the ratio of caustic right. Greetings from the Western Canada! I started the addictive hobby of cold process soap making. Soon I'll be picking up several kilos of sheep and beef suet to render and came across your blog whilst researching home made tallow soap. 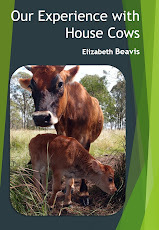 Liz, you're living the kinda life I dream about; a few acres, organic food production and self-sufficient living. One day I'll put my permaculture design certificate to use but for now I'll have to do with growing carrots and spinach in boxes on my townhouse patio and frequenting our farmers market. I also wanted to comment on Kristy's post about emu oil - Kristy do try making soap with it if you haven't yet! Emu oil is considered a luxury fat and it sells for at least $220 per Liter in Canada. I can't believe you were just around it as a by product from processing the bird, but I guess that's the benefit of living in a country where Emus are raised. I'm interested to see how your 100% tallow soap turns out too. I make goat milk soap that uses tallow and lard as well as several different oils, but have never tried using tallow alone. Thank you for sharing this at the HomeAcre Hop; I hope you'll join us again this Thursday.